Trick question. What uses more power? 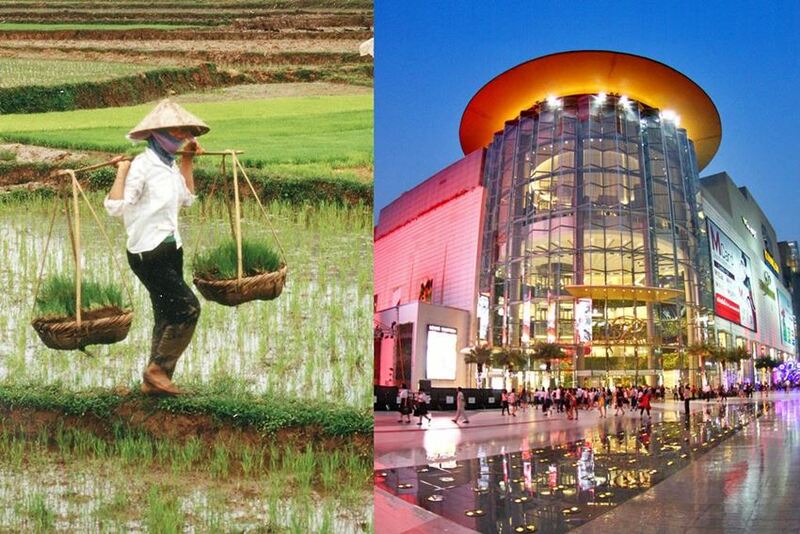 Siam Paragon in Bangkok or the entire province of Mae Hong Son (with 250,000 residents)? The astonishing answer is, of course, Siam Paragon. By a factor of DOUBLE the power consumption of the north-western Thai province near the Myanmar border. Siam Paragon consumes 123 GWh of electricity a year (in 2011), compared to the quarter-million inhabitants of Mae Hong Son Province, who over the same period, used 65 GWh. Whilst you trek across some ancient hills enjoying an old and proud culture you need to compare that with some of the opulent malls in central Bangkok which can easily compare with their counterparts in Singapore, New York or London. Brands like Louis Vuitton, Chanel, Prada, Tiffany and Cartier, and the power these shops consume, is an entirely different world from other parts of Thailand. Siam Paragon is just one of half a dozen luxury malls sprawled along a six kilometre stretch of the city’s downtown. They all consume vast amounts of power. So, Thailand has turned to Laos and the hydroelectric potential along the Mekong to feed its growing electricity demand. Xayaburi and Don Sahong dams, currently under construction, are among the cornerstones of a dam-building bonanza by Laos to realize its aspiration to become the “Battery of Asia”. Thailand is one of Laos’ key partners and buyers of power. And the kingdom’s largest energy consumer is (no surprise here) Bangkok, with it’s sparkling lights and air-conditioning ticking over the electricity metres at rapid pace. Many analysts worry the planned hydropower dams will devastate fish populations, harm agriculture and hurt culture and tourism along the fragile Mekong basin, threatening the livelihoods of 65 million people who rely on the river for income and food. Thailand is not on its own with massive development and expansion putting pressure on the older ways of life. But the disparity in the Kingdom between the power-hungry city life and the older-style agriculture is now sharply in focus with this new deal with the Laos power providers.